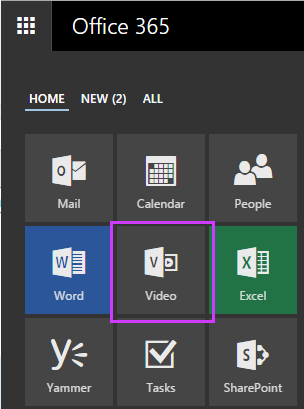 You can display a video that is managed in the Office 365 Video portal on a SharePoint Online site, on a SharePoint site that has hybrid single sign-on set up, or on any other site that has Active Directory single sign-on enabled by choosing the video you want to embed on your site from the list of videos that have been uploaded to Office 365 Video. This article describes the embed procedure, which you can perform only if you are the site admin for the site. 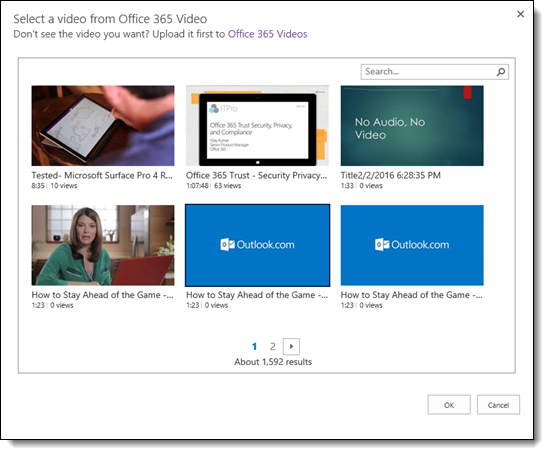 For more information about Office 365 Video, including prerequisites for watching a video, see Meet Office 365 Video. Important: Users must be signed into Office 365 to view a video that is embedded on a site from the Office 365 Video portal. In the ribbon, click the Insert tab and then choose Office 365 Video. Find and select the video you want to display and then click OK.
To display a video that is managed in Office 365 Video on a SharePoint on-premises site that has hybrid single sign-on set up or on another website that has Active Directory single sign-on enabled, you first need to get the embed code for the video you want to display. Note: Users must be signed in to Office 365 or SharePoint Online to view a video that is managed in Office 365 Video. 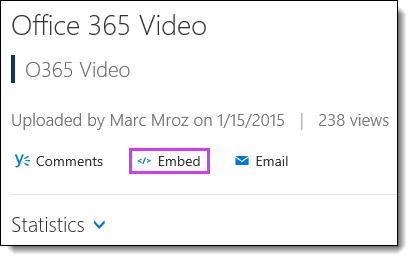 On the video page in Office 365 Video, click Embed. A box will appear with the embed code for the video. Once you've copied the full embed code, you can add it to your SharePoint on-premises site or other website. 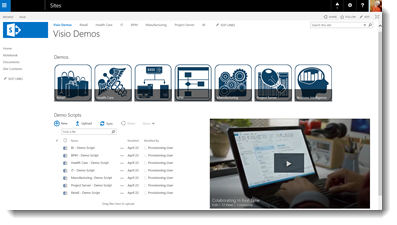 For more information about how to embed a video on a SharePoint on-premises site, see Embed a video from a video-sharing website.